Search Results for "working class"
UK October 2018- Early morning sunlight catches steam billowing from a chimney on an old school rooftop in front of newly built luxury apartments in East London. An aerial shot of a typical western Pennsylvania residential neighborhood in late Autumn. 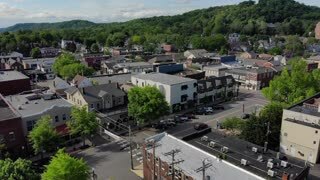 SEWICKELY, PA - Circa May, 2018 - A daytime backward moving wide aerial establishing shot of a small town's business district on a sunny summer day. 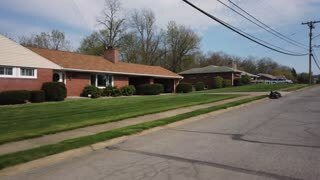 Pittsburgh suburbs. A daytime slow forward aerial view of a small Pennsylvania town's residential neighborhood. Pittsburgh suburbs. Driving past typical low income homes and houses in the Washington DC area on a late, overcast winter day. 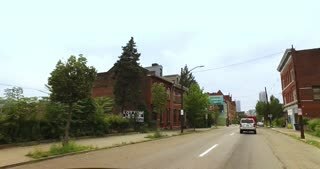 Driving past typical Pittsburgh homes in a residential suburban neighborhood. A top down bird's eye aerial flyover view of a typical western Pennsylvania residential neighborhood. Pittsburgh suburbs. A side profile view of a small northeastern American town in the winter. Pittsburgh suburbs. Driving past typical homes and apartment buildings in the Washington DC area on a late, overcast winter day. Manager and foreman in a factory. SB0104 A driver's perspective in a typical Pennsylvania residential neighborhood. 4k aerial shot raising over residential suburb at sunset. Establishing shot a handcrafted windmill in the front yard of a residence. Useful B Roll to establish a folsky, arts and crafts vibe to a neighborhood street. Worker controls the machine from the control panel. Showing the hands of the worker and the machine control panel. Worker looks at the machine control panel and controls the process. He has a very serious look. The panel and the worker's face are shown. The worker goes into the room to paint parts of the gun takes a gun and starts painting. Shot in motion. Working Turner safety goggles measuring parts with a Vernier caliper. The work of the Turner at factory. Average plan. Working on the loader. Close-up cinematic plan on the face of the worker right while driving. Very cool plan. A worker in an industrial enterprise sitting in the shop for a personal computer. He runs some sort of process. The camera is in motion. A female worker sits and works behind a hydraulic press in an industrial plant. The camera is in motion. Removed from the stabilizer. Panorama of the warehouse of a large plant. The loader carries on the store box. Removed from the stabilizer. The girl collects the device in an industrial enterprise. Close-up of her hands. The Assembly of the heater. Women's hands at work. The process of spot welding with argon. Close-up details and hands of the welder. industrial enterprises. Close-up of the drilling machine. Close-up of drill parts and chips. Industrial enterprise. Working at the machine. The process of the bending machine. Working metal bends. Close-up in motion. The mechanism and hands of the worker are shown. Work lucky on the truck just made parts for cars. The camera follows the cart. Close-up cinematic plan. Worker collects the electrical part of the heater for cars in the industrial plant. Close up. A worker collects a part in an industrial enterprise. Close-up of hands in motion from behind the stand. Beautiful cinematic plan.